President, Professor of Bible and Theology, 1985. Westmont College; B.A., Los Angeles Pacific College (Azusa Pacific University), 1963; M.Div., Los Angeles Baptist Theological Seminary, 1966; M.S., University of Southern California, 1967; Th.M., Talbot Theological Seminary, 1971; Th.D., Grace Theological Seminary, 1982. Professor of Bible and History, 1991. B.A., University of California at Los Angeles, 1965; B.D., Talbot Theological Seminary, 1968; Th.M., Western Conservative Baptist Seminary, 1970; M.A., Ph.D., Brandeis University, 1972, 1974. ​Associate Professor of Bible, Theology, and Biblical Languages, 1986. B.A. Shasta Bible College, 1981; M.Div. Northwest Baptist Seminary, 1980; Ph.D. Tyndale Theological Seminary, 2015; D.Min. Corban University School of Ministry (in progress). Special Assistant to the President. D.Min.Pacific Rim Graduate School of Theology, Ph.D.(can) MyongJi University, D.D. Shasta Bible College and Graduate School. University of Toronto School Theology CPE. Liberty University LLS in Counseling. Advisor Evaluate of Ministry of Education in Korea, Advisor of President "KFTA" the Korean Federation of Teacher's Association, "Acts", Former President of the Asian Center for Theological Studies (ACTS), ​ President of Asian Center for Theological Studies. Adjunct professor of Graduate School of Education: Myongji, INHA, JUNG-ANG, SOON CHUN HANG, and Seoul Theological University (Continuing Education).​SEOUL Theological University Continuing Education. Registrar, Coordinator of External Studies and Distance Education, Associate Professor of Education, 2003. B.A., Christian Heritage College (San Diego Christian College), 1999; M.A., Shasta Bible College and Graduate School, 2011. Head Librarian, Assistant Prof. Children’s Literature, 1996: B.S., Los Angeles Baptist College, 1970; M. Libr., University of Washington, 1980. Controller. B.S., University of California Los Angeles, 1993; M.A., Trinity Western University, 1999. Financial Aid Director, 2011 B.A., Shasta Bible College and Graduate School, 2003. Dean of Women, B.A. Biola University, 1968. ​Professor of Bible and History, 1991. B.A., University of California at Los Angeles, 1965; B.D., Talbot Theological Seminary, 1968; Th.M., Western Conservative Baptist Seminary, 1970; M.A., Ph.D., Brandeis University, 1972, 1974. Professor of Bible, Theology, Chair of Christian Ministry, 2002: B.A., Southeastern Bible College, Birmingham, AL, 1971; Th.M., Dallas Theological Seminary, Dallas TX, 1976; D.Min, Western Seminary, Portland, OR, 2006. Professor of Education, 2015. B.A., Seattle Pacific University, M.A. Education Administration, University of Redlands, Ed.D. Nova Southeastern University. Registrar, Associate Professor of Education, 2005. B.A., Christian Heritage College (San Diego Christian College), 1999; M.A., Shasta Bible College and Graduate School, 2011. Assistant Professor of Youth Ministry, 2014: B.A. Shasta Bible College, 1992. M.A.R., Liberty Baptist Theological Seminary and Graduate School of Liberty University, 2009. Elevate Camps, Inc.
M. Div, Philadelphia Biblical University, 2008; Currently pursuing PhD at Baptist Bible Seminary of Summit University. Lead Pastor at Calvary Baptist, Little Egg Harbor, New Jersey. Assistant Professor in Education, 2015: M.A.T., University of Arkansas 2011. Associate Professor in Education, 2012: B.A. P.E. Teacher Ed., Chico State University; M. Ed. Supervision and Administration, University of Phoenix; Credential, P.E. Chico State University; M.A. Adapted P.E., Chico State University. Assistant Professor of History, 2015: B.A., Shasta Bible College, 2012; M.A.,Liberty University, 2014. Assistant Professor of Bible and Theology, 2012: B.A., Shasta Bible College, 2008; M.Div., Corban University School of Ministry, 2011; Th.M., Liberty University Theological Seminary, 2012; Ph.D., Baptist Bible Seminary, in progress. Associate Professor in Bible and Theology, 2007: B.A., International College, HI, 1979; M.Div., Northwest Baptist Seminary, 1983. Assistant Professor in Biblical Languages, 2014: B.A., Shasta Bible College, 2003; M.Div., The Master's Seminary, 2007; Th.M., The Master's Seminary, 2010. 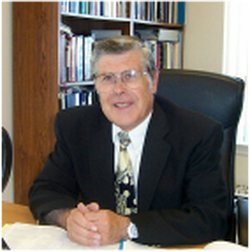 Associate Professor of Bible, 2010: B.A., Shasta Bible College, 2006; M.A., M.A., Jerusalem University College, 2008, 2010. Representative, Wordsower Ministries. Professor of Bible and Theology, 2002: A.B., Western Baptist College, 1962; Th.M., Dallas Theological Seminary, 1966; D.Min., Dallas Theological Seminary, 2001. Professor of Bible and Theology, 1993: B.S., Oregon State University, 1969; M.Div., Th.M., Talbot Theological Seminary, 1976, 1986; Th.D., University of Vienna, 1994.